Everyone knows the need to save money, but the practice of doing it can be hard when you’re living paycheck to paycheck. 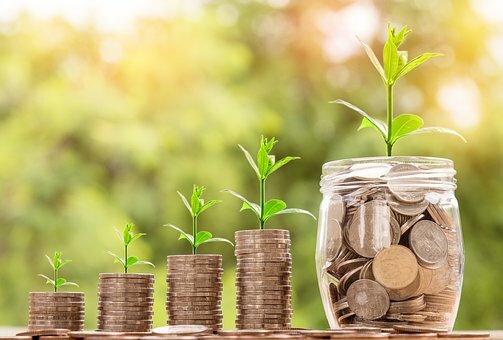 If you’re tired of seeing all of your money go out the window the instant you get paid, consider these quick tips to help you establish better saving habits. The first step to saving money is knowing exactly how much you’re spending. You can’t keep track of the amount you’re spending in your head like you think you can. You should be writing down every expense and adding recurring expenses to a monthly calendar so you can keep better track of them. Before you can set up a budget, you need to know how much you’re spending in your day to day life right now. Start keeping track of your expenses and then organize those expenses according to categories. This will help you set up a budget for your must-haves and what you can probably lose. Once you have a full month of data so you can see where you spent all of your money, you’re ready to start budgeting. Your budget should contain at least three parts. Expenses you can’t avoid like bills, insurance, rent, and transportation costs make up one section. A second section should be dedicated to fun money, while a third is a percentage you save before spending any of it. The portion of your income that should be saved depends, but roughly 10% is a good amount to help you build an emergency cushion should things go wrong. Once you’ve got your budget outlined, you need to have a goal in mind to begin saving towards. Plenty of people choose different goals, but the real factor is how quickly you want to achieve your goal. Aggressive saving will be needed to achieve a short-term goal of one to three years. Long-term goals are those that will take more than four years to achieve. You’ll undoubtedly hit a snag in your budgeting where you overspend in one category. At this point, you’ll need to decide. If you cannot bring in more income to cover the expense, you will have to cut something from your budget to make room for your savings. Banks offer a variety of different savings accounts to help you prioritize your savings. A certificate of deposit account is one that locks your money for a fixed period but offers higher interest rates than a traditional savings account. These are beneficial if you want to make sure you’re not tempted into pulling money from your savings account for something frivolous. Once the kinks have been ironed out of your budget and you’re not overspending in any category you established, you should then be able to automate your savings. You might even save money if you compare personal loan offers to pay off debts that offer one single payment rather that multiple payments at multiple interest rates. Depending on the balance and interest rate on the cards, you may hardly be making a dent in the balance every month as stands now. Which Is Harder: The CPA Or The BAR Exam?